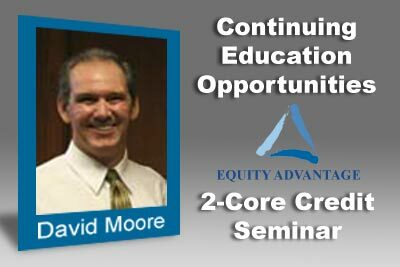 Attend this 2-core credit seminar on Wednesday, February 23rd, 2011, 10 am – 12 pm and learn why even today, 1031 exchanges are necessary to keep investor’s valuable equity working for them! Today, more than ever an exchange may be a necessary step to move forward. 1031 Exchanges Today? When Losses Cause Gains…presented by Equity Advantage at Lincoln Center, Building 3, 10220 Sw Greenburg Road, Suite 111, Portland, OR 97223.